Discussing the opening of a new restaurant is one of the area’s favorite topics, only the subject matter is becoming overwhelming. Keeping track of all that’s new involves both perception and an appetite. That is what we’re here for! And why not? Shaya had already tested the waters with his Passover menu at Domenica, which was well-received. Israeli food is presently enjoying time in the national limelight. Its novelty to the local restaurant scene makes it intriguing. But its diversity is perhaps the biggest surprise. “Israel is made up of about 60 different cultures, and with that comes about 60 different cuisines,” Shaya explains. Turkish, Yemenite, Greek and Polish are but a few and the flavors are incredibly vertical in their profiles. Add to that Shaya’s contemporary topspin, and it’s as if a whole new category of restaurant dining appeared overnight. Start with a selection of his hummus and tahini, served with house-made pita. The Curried Cauliflower makes use of hawaij, a complex Yemenite spice blend. His Kibbeh Nayah, a beef and lamb tartare, is redolent with Baharat, a Lebanese mixture of allspice, black pepper and clove, among others. His Short Rib Tagine features local candied citrus in lieu of the more traditional dried fruit for this North African Dish. Shaya took over a location that already exuded a contemporary, Mediterranean feel. To make the space his own (and also to fire his pita), Shaya put in a striking wood-burning oven, which anchors the ground floor. Sound-absorbing panels covered in patterned blue fabric were installed along one wall, while candles and flowers soften the other. The second floor features a pastry and prep kitchen as well as a pair of banquette rooms, perfect for special occasions. The Fat Falafel truck started prowling around New Orleans around three years ago, serving the eponymous fava/chickpea fritter and little else. Last year, Theresa Galli and Gavin Cady parked the truck for a while and opened a little place off Esplanade Avenue, 1000 Figs. The restaurant is located up a flight of stairs from the ground-level entrance, and while the space is small, it’s charming and they’re using it efficiently. There is seating at a counter that runs along the window looking out onto Esplanade Avenue, and each table has a small drawer for silverware. You can still order one of the best falafel in town at 1000 figs, but unlike the food truck days, not everything is vegetarian. The menu changes, but when there’s grilled squid on the menu, I’m ordering it, and the same goes for the lamb-heart kebabs that were available on one of my visits. What is exceptional about the place, though, is that even items that some restaurants treat as decorative – a raw slaw made with root vegetables like beet, carrot and jicama – tastes great. I have eaten at 1000 Figs on a number of occasions, and I don’t remember ever being there when more than one person was working the “front of house.” Part of that is the size of the place – I’m not sure where they’d put a waiter – but part of it also seems to be the general DIY spirit going on. Overall, 1000 Figs does what all restaurants should do; it welcomes and restores you. Though New Orleans really isn’t a “Southern” town, which surprises a lot of people, it doesn’t mean we’re turned off to the idea of Southern cuisine. We are open to a very happy culinary and cultural marriage when someone comes to town from the South and uses their background alongside our beloved and indigenous ingredients. Chef Alex Harrell, a lad from South Alabama, has been with us since the late 1990s and is now making quite the statement with his new restaurant, Angeline. He has successfully merged the flavors of his youth with the culinary styles of New Orleans in contemporary, comfortable surroundings that fully respect the grace of the French Quarter. To begin, Southern Fried Quail is set with local honey and a spicy sauce made in-house. Sherry Glazed Shrimp, a nod to New Orleans’ Spanish roots, seem perfectly at home with local greens and fried lemon. For the main courses, Louisiana Blue Crab is set in linguini punctuated with Serrano, crab butter and Florida bottarga, a mullet roe. The Mississippi Rabbit Milanese is accompanied by a smoked carrot purée, spoon bread and bacon braised collards, along with a tomato gravy. Chef Harrell blends “the Souths:” Italy and America. The rest of the menu is a fascinating blend of who we were, who we are and those diverse Old World countries from which we all hail. Angeline is located in the Hotel Provincial, the same space previously occupied by Stella! restaurant for many years. Parking is available on-site. The restaurant décor has been upgraded and updated from its previous occupant and is more approachable, not as haughty. The bar is staffed by talented and completely competent professionals; their Gin & Tonic rings bells, likely because they make their own tonic. A more elegant expression of that drink isn’t to be had anywhere in town. Justin Devillier and his wife Mia are the kind of folks you want to see succeed. They are committed to New Orleans, they make great food and their first restaurant, La Petite Grocery, has been a hit pretty much since it opened. Devillier’s food is grounded in classic technique; he and his staff, which includes Paul DiMaria, Trip Hartsell and Mark Falgoust, know when to stick to the classics and when they can take flight. At Balise, Devillier’s recently opened restaurant in the CBD, they’re getting that balance right. The menu isn’t large; it’s dominated by entremets and garde manger, which in this case means small plates, salads and, generally, appetizers. Highlights include spicy fried chicken wings with Brussels sprouts, fish sauce and peanuts. I have enjoyed the venison tartare – another example of a classic married to inventiveness – as the main course of a three-course lunch. The options change with what’s available; an early spring appetizer that featured sea urchin gave way a few weeks later to something else, equally fresh. Entrées are no less impressive, and they change pretty often as well; roasted lamb loin that came with brown butter and lemon when I first dined at Balise is, as I write, accompanied by a celery root purée, maiitake mushrooms and hazelnuts. The fried flounder with celery root remoulade and charred napa cabbage has remained a constant, but the grilled sirloin strip steak comes with dauphine potatoes and grilled scallions rather than the caponata, pine nuts and arugula I first saw. Balise is located in the space formerly occupied by Ditcharo’s; the bones are still there, but if you haven’t been, you should, if only to see what the place looks like now. The first floor has two dining rooms, one with a bar and one behind the stairs that lead to the second floor, which has another dining room and a wrap-around balcony. The craft cocktail menu is run by bar manager Jesse Carr. The drinks are interesting without being interesting, if you catch my meaning, and there’s a fine selection of beer and wine as well. After working for years in and around New Orleans, friends Dayne Womax and Simon Beck decided to team up and open up a progressive restaurant spotlighting the regional cuisines that make up the American South with casual appeal. All they needed was a location. And when Beck peeked through the window of a shuttered Wow Wingery at 231 N. Carrollton Ave. a while back, he knew that he found the right place. Brown Butter was born. Womax and Beck stepped into a place in good working order, but also one that was clearly set up to be a wing shop. “It had a big triple bay fryer and a grill and that was it,” Womax recalls. “I had to figure out a way to fit everything we needed for a full-service restaurant right there under that hood. We did it, but it was a challenge.” For the front they recovered the red vinyl booths with quality material, swapped out the chairs and took down the array of big-screen TVs that surrounded the dining room. To cover the outlets they hung paintings by their friends on the walls, a quick fix that has since turned into a talking point as others have requested the duo to showcase their art in the space. Homemade sodas, original cocktails and micro-brews round out the appeal. Tiki culture, which had its birth in the 1930s, is supposed to be about a fictionalized portrait of civilization in the Southern Pacific – and there ends any attempt at authenticity. What Tiki actually ends up being is something fun and informal, offering hints of friendly natives, swaying palm trees and islands warmed by tropical sun. This amazingly creative and completely competent restaurant satisfies all the senses with visual treats; magical elixirs from the bar, all based on fresh ingredients; and cuisine that adds to and carries through on the theme. The most famous restaurant of this style to ever grace our city, the beloved Bali Ha’i at the now defunct Pontchartrain Beach amusement park, has nothing on Latitude 29. At Latitude 29, named because New Orleans sits just over the Earth’s 29th parallel latitude, with an added bonus in that the restaurant is in the Bienville House Hotel, across the street from New Orleans Fire Department Engine Company 29, the food and the drinks are of equal stature. Relish a real Mai-Tai, properly constructed, like you’ve never had before; or savor authentically correct versions of Planter’s Punch, Nui Nui and Navy Grog. On the dining menu, don’t fail to order the Pork Ribs with a Taro Chip accompaniment, which comes with Sriracha Mayonnaise and Kimchi Ketchup dips. Main courses include Soba (chilled buckwheat noodles with avocado), Bahn Mi, Tahitian Steak Frites and Crispy Duck, among other tasty offerings. What New Orleanians have long known is that just because a restaurant is described as “neighborhood,” doesn’t mean it isn’t a great place to dine. Every neighborhood in town is littered with dining establishments that draw at least part of their charm and reason for existence from their location. Paladar 511 settles into that groove comfortably, although at first glance it isn’t apparent. The interior isn’t reflective of the historic and traditional Bywater or the neighboring Marigny. It is quite overstated, with old brick walls, high ceilings, soaring windows and chandeliers. But none of that is what this place is all about. The name, in Spanish, refers to family-run dining establishments where everyone does everything. The division of labor is non-existent. When you’re on staff here, you’re family and you’re doing it all. While Jack Murphy, Ed Dunn and Susan Dunn, all non-natives but lovers of the city, started planning for a different type of New Orleans restaurant over two years ago, one of the mainstay dishes was going to be pizza. Jack owns and operates a pizza restaurant in San Francisco so, incorporating the do-what-you-know approach, pizza, distinguished by absolutely the freshest toppings available, was a key part of what was going to be. They didn’t foresee the veritable explosion of restaurants in town that were going to serve pizza. They were not deterred and continued to expand the California-based concept of other fresh food items. Native ingredients like fresh tuna revved to new heights by slices of avocado and chopped pistachios, or braised pork over turnips, or pan-seared grouper on a bed of black-eye peas bring a local flair to national dishes. The menu’s emphasis on “fresh” results in frequent changes making for interesting and diverse dining experiences on every visit. The restaurant's layout is both comfortable and on the upper-end of interior design considering what else is in the area. From the soaring ceiling and multiple types of lighting to the cool color palate, the space manages to be at once cozy and open. But make no mistake, Paladar 511 is all about family and neighbors. Chef Ryan Hughes is from Ohio, originally, which makes his interest in Southern food a bit odd. But Hughes got started cooking professionally for acclaimed chef Louis Osteen in Charleston, South Carolina, and his native curiosity led him to delve into the local cuisine. From the first time I met Hughes, when he was the chef at Café Degas, what struck me was his interest not just in the methods and techniques of cooking, nor his relationships with the farmers and other purveyors from whom he obtained ingredients. Hughes was interested in the culture and traditions behind the food he cooks. That makes him a perfect fit to run the restaurant inside the Southern Food & Beverage Museum, Purloo. At Purloo, Hughes cooks pan-Southern food, but at any given time you’ll also see influences from all over the world. The goat served in a curry sauce with lemongrass, coriander and sweet potatoes comes with Vietnamese bread. In one memorable dish, Hughes added ground cardamom to the grits that served as the base for a pan-seared fillet of drum garnished with an artichoke barigoule and fried pickles. The Southern standards are excellent, of course. The fried chicken with tasso macaroni and cheese is outstanding, and the low country she-crab soup made with a labor-intensive crab stock is unbelievably delicious. Early on, Hughes conceived of a program by which chefs from other Southern states would come to Purloo and cook their native food, all while learning about our local traditions. Depending on when you go, you might see dishes from Kentucky featured; a month later the food of Mississippi might be the focus. 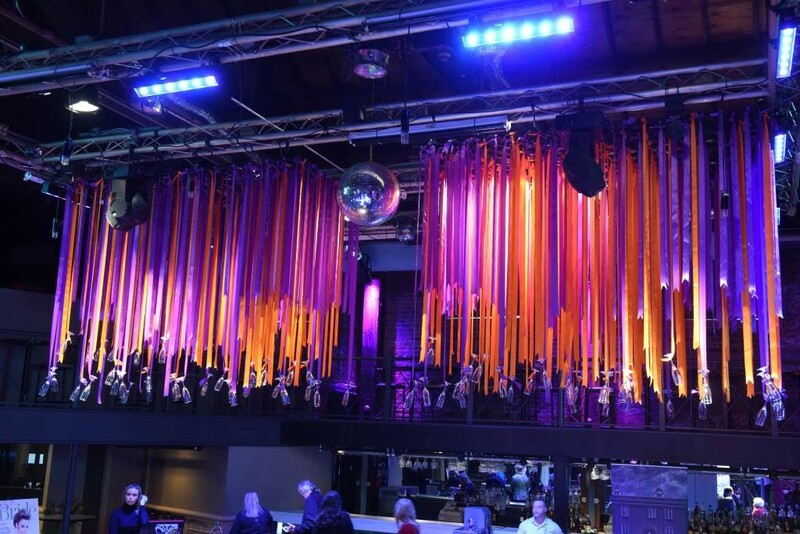 A sheer curtain hanging from the high ceiling is all that separates the dining room from the main display area of the museum, and the bar was salvaged from Bruning’s, a restaurant that long-graced the city’s lakefront. The best seat in the house is on one of the many stools that surround the entirely open kitchen, where you can interact with Hughes and his team as they prepare your meal. Purloo was a long time in the works, but now that it’s here, it’s proving a showcase for the team Ryan Hughes has put together. 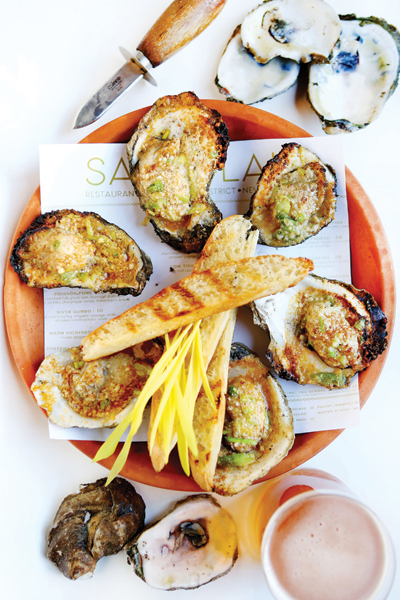 One of the more anticipated openings of 2015 took place in March when Cody and Samantha Carroll opened Sac-a-Lait. Owners of the highly regarded Hot Tails restaurant in New Roads, Louisiana, the husband and wife team have been steadily collecting awards and accolades as they looked to expand. The former Sun Ray Grill has been recast into a striking fine-dining destination that should be a good fit for the competitive Warehouse District dining scene. The menu is Cajun and Southern with a heavy dose of the outdoors. Dishes to try include the Turtle Boudin, made with duck egg risotto and sherry-spiked sauce piquant, as well as the Whole Stuffed Flounder, where the traditional stuffing gets swapped out with Oysters Rockefeller and a Herbsaint-infused citronelle. An expansive oyster bar and specialty cocktails add to the appeal. Chef Dominique Macquet recently partnered with restauranteur Kimble Donington-Smith to open Saveur on Magazine Street in Uptown. Here at Macquet’s latest venue he prepares his distinctive style of Mauritius-infused contemporary French fare that makes great use of his extensive network of local purveyors. Signature dishes include the Whole Roasted Gulf Fish, recently yellowtail snapper that was paired with local bok choy, Perrilloux Farms carrots and organic farrow. The remoulade for his Jumbo Lump Crab Salad uses an emulsion of oven-dried tomatoes and infused olive oil in lieu of ketchup, adding depth to the sauce, with Kaffir lime oil and house-grown peppers providing kick. The breezy, contemporary space, formerly Baie Rouge, complements Macquet’s style of cooking. New Orleans-native Hieu Than spent time in the kitchen of Tom Colicchio’s Craftbar in Manhattan before returning home to work alongside Sue Zemanik at Gautreau’s. He later teamed up with Nate Nguyen to open Kin, a jewel box of a restaurant in a former soul food restaurant on Washington Avenue near Jeff Davis Parkway. The menu is both ambitious and highly refined, with dishes such as Sugarcane Skewered Lamb with mint and pinenut pesto paired with a coconut and galangal sauce. Galangal, a relative of ginger with a more assertive bite, adds an extra element of flavor. 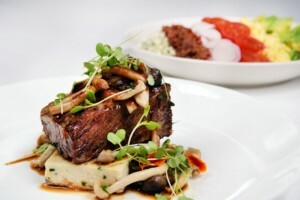 Overall the menu is very intelligent, and this compact restaurant is fully furnished with both equipment and talent. Though small, expect big things from Kin going forward.